Lil Uzi Vert and Playboi Carti will be hitting the road together this winter. The 16*29 tour shares a name with the still-unconfirmed collaborative mixtape that the pair has been allegedly working on together, with fans hopeful this run of shows will coincide with the release of the elusive project. Per the announcement, the tour will begin on Nov. 17 in Denver and will make stops in cities such as Atlanta, Miami and Detroit, before concluding in Boston on Dec. 21. G-Herbo—who recently sat down with REVOLT to discuss his debut album—and SOB x RBE have been tapped to support and will open each of the tour's 18 dates. Pre-sale tickets will go on sale tomorrow (Oct 19), with regular tickets being made available the following day. Day N Night Fest 2017 | Playboi Carti calls for moshing on "Half & Half" and "WHAT"
In addition to celebrating the new joint tour dates, Lil Uzi also officially has a gold album, with Luv Is Rage 2 earning certification from the RIAA earlier this week. Take a look at the tour dates below and cop your ticket here once available. 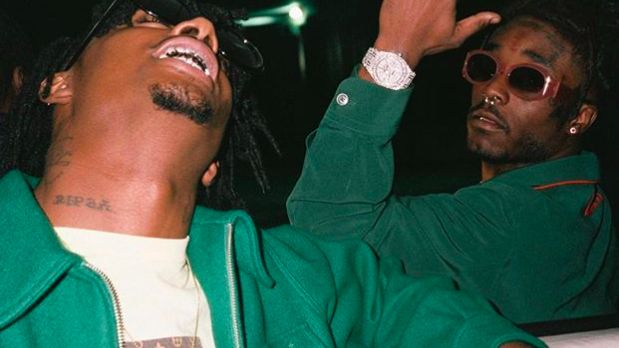 UPDATE: Hours after the tour announcement, Lil Uzi Vert has revealed that he will no longer be hitting the road with Playboi Carti. Taking to Twitter, Uzi told his fans that he would be skipping the 16*29 shows to "focus."